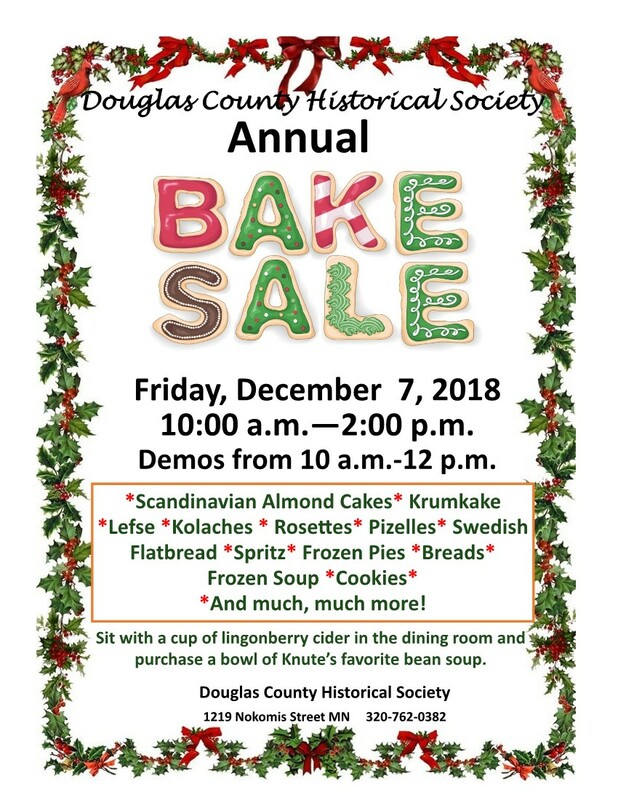 If you want a cozy experience, and delicious, nostalgic treats for the holidays, come to the annual Douglas County Historical Society bake sale at 1219 Nokomis St., Alexandria, MN, 10 am to 2 pm on Dec. 7, 2018. Enjoy the main floor dining room of Knute and Nicolina Nelson´s historic home with a cup of soup and some warm lingonberry cider. Then make your way downstairs for the bake sale action as volunteers demonstrate lefse and krumkaka making, and the tables are overflowing with local favorites such as kolaches, lefse, flatbread, pfeffernuss, almond cakes and many other delicious treats.